Being able to dunk in basketball will be great for boosting your reputation and impressing the crowd, but you do not want to spend all your time on it at the expense of your complete game. To be the best all round players on the court you need to have a completely rounded game so you are prepared for all circumstances. 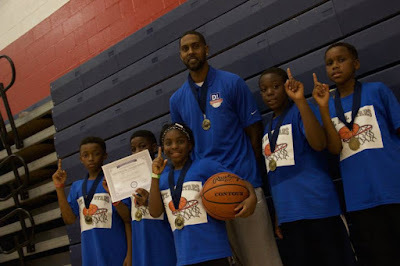 Larry Hughes Basketball Academy’s mission is to deepen our athletes’ commitment to personal success, develop the basketball ability and IQ to enhance their disciplines, life skills, and aspirations. This is a premier training academy in the St. Louis area. The academy provides leadership opportunities, basketball education and skill development for young boys, girls, and athletes. Here in this article, I am going to give you quick tips that help you with your goal to perform better in basketball. Classify Your Skills: In doing so, you would be able to tell whether you have the moves and physicality required for basketball. Find out what you can and cannot do that are essential in basketball. Classifying and assessing your skills will help you determine your level, your training needs, and your capacity. It is important to measure your own capacity, before you scout for a basketball training program. Start with a more Advanced Training: After assessing yourself, scout for the best program that focuses on improving sport specific skills, jumping, running, shooting and also improving your speed, stamina, and strength. If you already have extensive training, you need to start in a more advanced training for your better. In basketball, being able to jump as high as 40 inches is not just a God-given talent, but actually a result of good training. Identify Your Weakness: Identify what part of your body you need to develop, which muscles you need to strengthen and what skills you lack, then work on them. Our Basketball Mission is to provide high-quality training for all our players. Set Your Own Training Goal: Make sure that you set an objective for every workout or exercise, and set your own goal for the training program. Set your own timelines and track your improvements. Remember to be realistic about your goals and your own expectations. Put Your Training to Practice: Remember that you can’t train forever. You can’t keep jumping and be practicing your leap, you need to put it into action and play ball. If you feel you’ve gotten better as a result of your training, you need to test acquired skills and strength. Play a casual game with worthy opponents, and find out how much you have improved. In any sport, the athlete must be confident, and it comes from knowing you are prepared. So start working and become the athlete you dream to be with Larry Hughes Basketball Academy.